This island destination has long been a favourite with travellers because of the fabulous beaches, crystal clear waters and spectacular limestone landscapes. 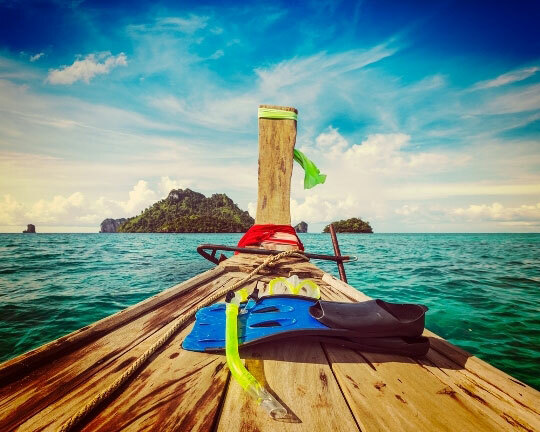 Scuba diving and snorkelling are the main attractions of the Phi Phi Islands, but the range of activities and accommodation has grown over the last few years. Hiking, climbing, sea kayaking, parasailing, waterskiing, sightseeing, snorkelling, yachting, cuisine, fishing, sun bathing, reading, relaxing and eating ... With so much to see and do, it's no wonder people keep coming back year after year. Phuket International Airport has direct flights to/from Kuala Lumpur - Malaysia, Singapore, Hong Kong, and Bangkok - Thailand. Take your pick from international beach resorts to small family-friendly hotels. There's something to suit everyone's taste and pocket. 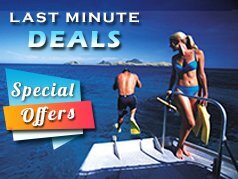 And you can be sure that whatever option you go for, it will be backed up with their 'Low Price Guarantee' to ensure you get top-dollar value for money. Whatever budget you're travelling on you can be sure to find a suitable place to stay. 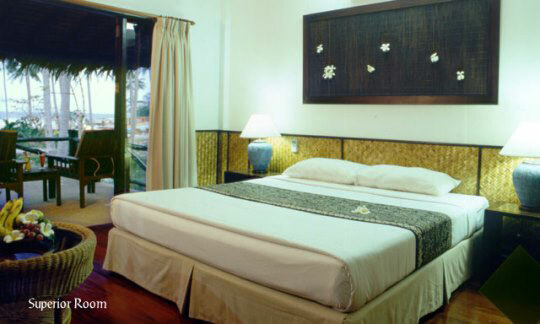 Koh Phi Phi has everything from simple beach huts on Long Beach to luxurious air-conditioned hotel rooms. But beware in high season - accommodation can get fully booked, so try to book in advance to avoid disappointment. The larger of the 2 islands, is shaped like a figure 8 and linked by a delicate chain of golden sand. Here stands the island's original Muslim fishing village, Baan Tonsai, now engulfed by the ever-expanding centre of bungalows, cafes and hotels. 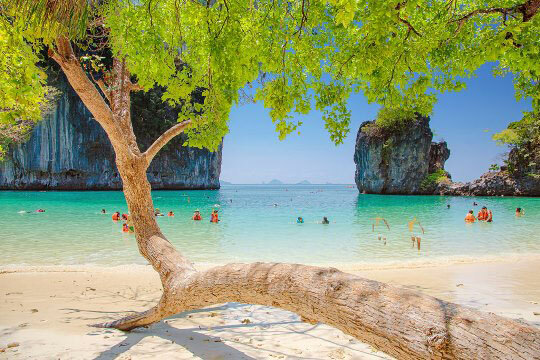 A pleasant 1 hour coastal walk from Baan Tonsai will lead you to Had Yao - Long Beach, with tantalising white sands, vibrant offshore marine life and unhindered views of the spectacular cliffs of Phi Phi Leh, 4 kilometres to the south. 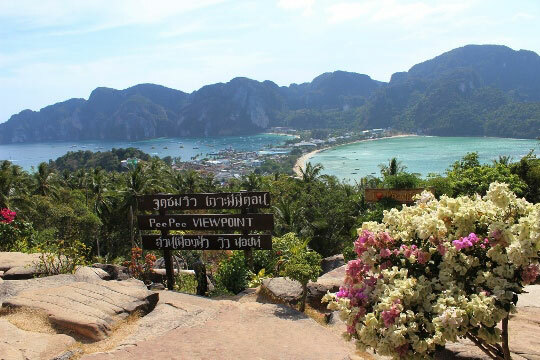 You'll also enjoy climbing the steep trails on Phi Phi Don's 2 massifs - View Point, where you'll be rewarded with breathtaking views of the island. Superb coral beds at Hin Pae off Had Yao, provide some of the best snorkelling in Thailand, and a great chance to see black tip sharks feeding early in the morning. 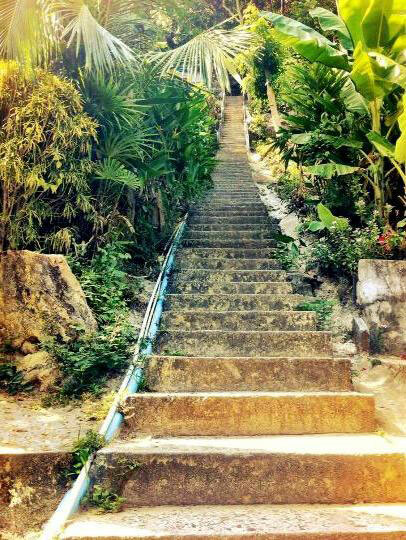 The 2004 tsunami hit Phi Phi Don hard and much of the central area to the west and north of the pier was devastated and still remains so. We do not recommend you stay in the centre of Phi Phi as some parts of the area are under reconstruction and noisy from the rebuilding work. 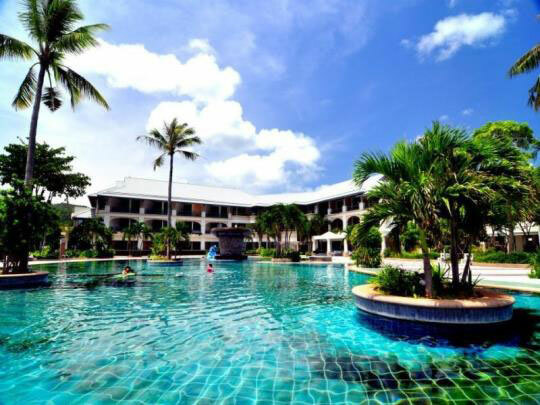 We recommend you stay outside the centre of Tonsai Village on the eastern and southern side of the island, where the beaches remain clean and uncrowded and most resorts, restaurants and bars are now open and thriving again. 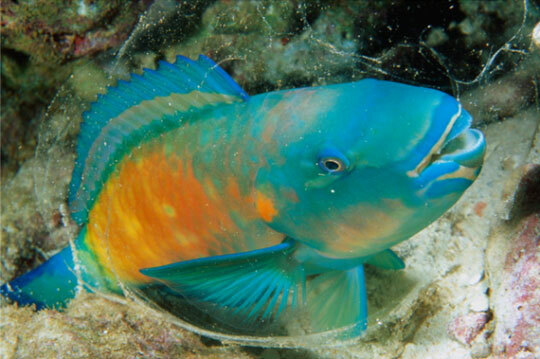 Unlike Phi Phi Don, Phi Phi Leh remains uninhabited and unspoilt. 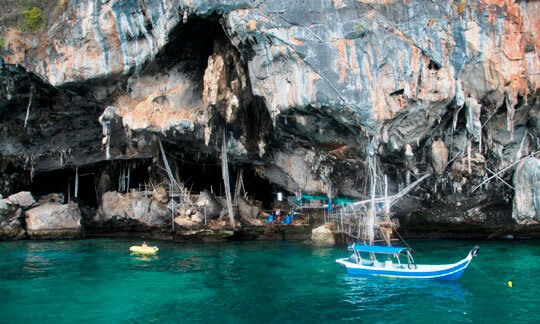 Boats from Phi Phi Don bring visitors on day trips to see "The Beach" - Maya Bay, Pileh Bay, Loh Samah Bay, and paintings in Viking Cave. Another feature of the cave is the edible swiftlet nests which are used to make birds' nest soup. Agile collectors climb rickety bamboo scaffolding to reach the nests, which are so valuable that the caves are protected by armed guards. In a bid to halt the illegal trade of the nests, staying overnight on the island is prohibited. 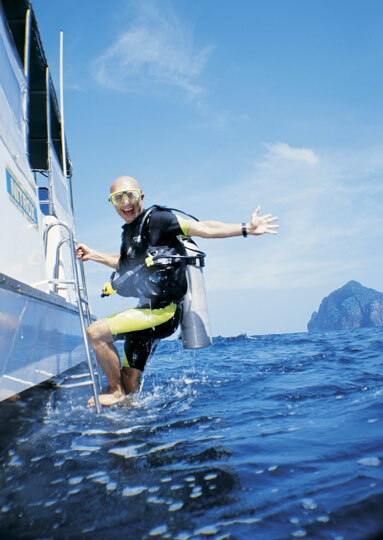 Scuba Diving at Phi Phi Leh is also very popular. 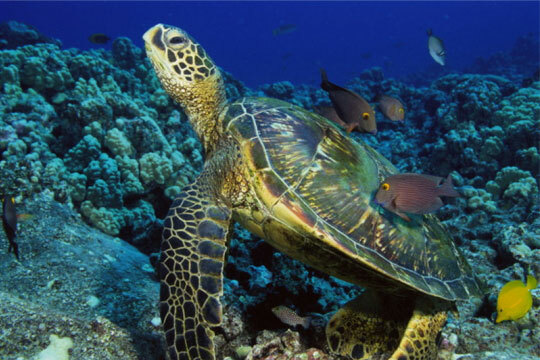 The island is afforded a degree of protection within the boundaries of the Mu Koh Phi Phi Marine National Park. 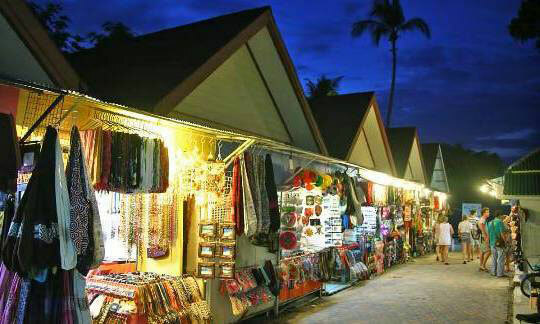 Koh Phi Phi's climate is tropical and warm throughout the year. The northeast monsoon from November into January is wonderful, with breezy clear days and fragrant cool nights. From February to May the breezes end, and the weather is at its best. 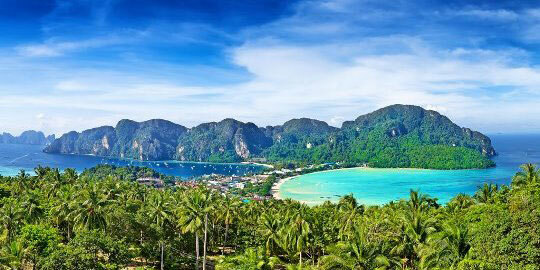 From November to May, Phi Phi Island has 26 sunny days per month. The southwest monsoon, from late May to October, brings rain and winds to the west coast of southern Thailand, but there are still 20 sunny days per month. Most often it's only a cool, late afternoon shower, but there can be rainy days on Koh Phi Phi. Seas can be quite rough during this season and swimmers should be careful. 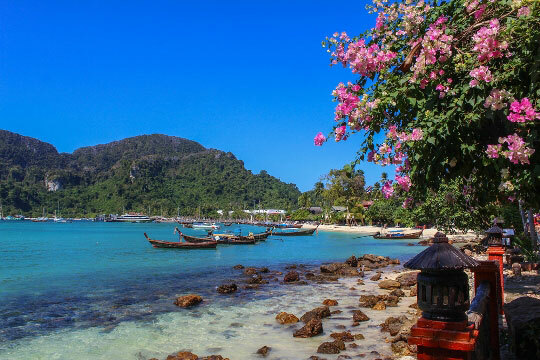 There are 2 very hot periods of weather on Phi Phi Island, the first between April and May when the average temperatures range from 30 to 36ºC and only the occasional tropical thunderstorm brings relief from the heat. It is also very hot between September and October but the frequent rainfall has a wonderful cooling effect. Tourist High Season is from November to April. 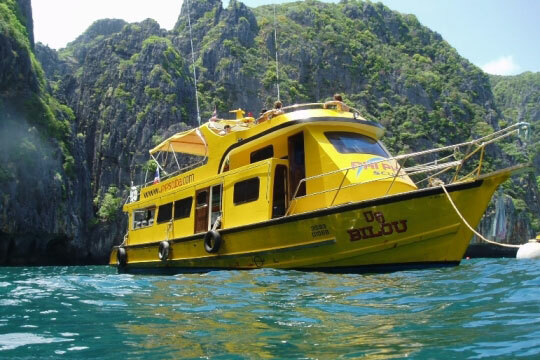 However, it's best to avoid December and January if possible, as this is Peak Season, when accommodation can be hard to find and is expensive, particularly around Christmas and New Year, and Phi Phi's dive sites are very crowded. 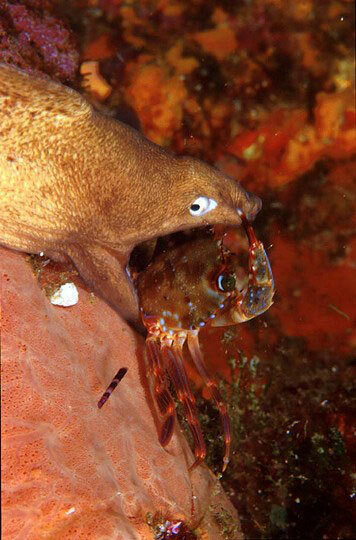 Whether you are coming to Thailand for diving or not, we recommend you try to come from February to April. There are less tourists here, accommodation is much better value-for-money, the weather is at its best, and the seas their calmest. 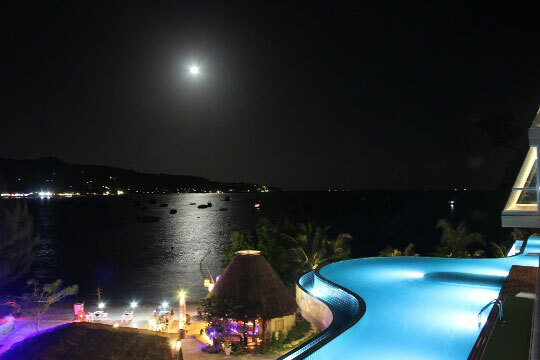 The dive sites around Koh Phi Phi, Hin Daeng and Koh Ha are less crowded, and it's your optimum time to see something special, as it's whale shark and manta ray season. There are several lively disco bars in Ton Sai village, and although there are no cinemas there are several places showing video movies all day and night. At Carlito's Bar you can listen to music sitting with your feet in the sand drinking a cold beer or cocktail, and later on, move to the Reggae Bar, or Apache Bar to dance until dawn. 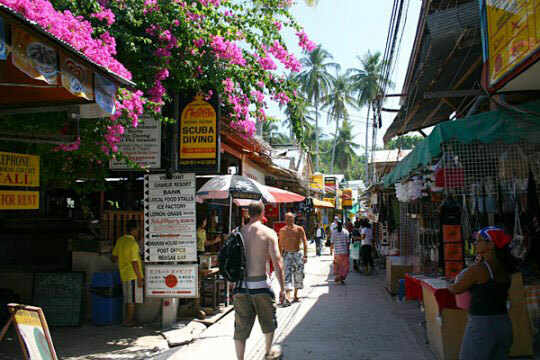 Phi Phi Island has numerous restaurants to choose from. Whether you prefer Italian pizza or pasta, German schnitzel, or traditional Thai food you'll find the cuisine you prefer. 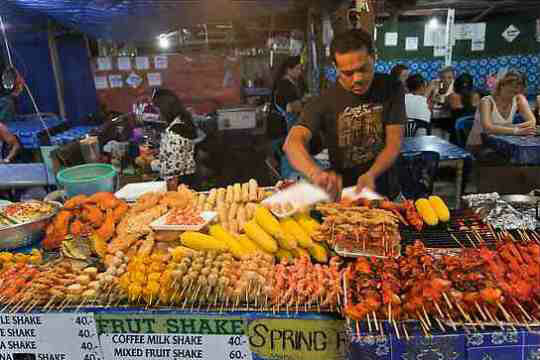 Koh Phi Phi also has 2 bakeries with all sorts of cakes and other mouth-watering savouries.